EIC volunteers believe incorporation is the right choice for Edgemont, and these discussions are the results of our research and analysis. We encourage you to read our analyses of the issues, conduct your own research, contribute to the conversation, and make your own decision. How does Edgemont receive EMS services today, and how is it funded? Our 30+ Greenville Fire District’s career firefighters are trained as emergency medical technicians and/or paramedics. They are licensed by New York State to provide “non-transport basic life support EMS” which includes comprehensive on-scene care (called basic life support, or BLS), but not rides to the hospital. In its agency participation agreement with the Greenbugh Police Department, the fire district is described as a "Basic Life Support First Response (BLS-FR) EMS agency." EMS calls represent approximately 45% of all calls to the Greenville Fire District. Upon incorporation, the district's 30 firefighter EMTs will continue to provide basic life support EMS as the village's fire and rescue department. The Village is projected to have the budgetary capacity to expand the department's services to include 24/7 local ambulance and paramedic coverage, should Edgemont's Mayor and Board of Trustees choose to do so. Headquartered on Central Avenue, Edgemont's Greenville Fire District responds to every medical call in Edgemont, and--given its proximity--is often the first on the scene. This service is paid for exclusively by Edgemont and would not change upon incorporation. The Greenburgh Police Department, located off 119 approximately 4 miles north of Edgemont, provides basic life support (BLS) when EMTs arrive as well as ambulance transport to a hospital when necessary. Related expenses--primarily, stipends to patrol officers with EMT training--represent a small portion of the Town's unincorporated “B” budget and are not broken out as a line item. This component of EMS is self-funded by revenues derived from hospital trips in the unincorporated area, including Edgemont. In practice, Edgemont's Greenville Fire District and the Greenburgh Police Department are simultaneously dispatched when sick or injured individuals in Edgemont require medical attention. How might incorporation affect current EMS services? 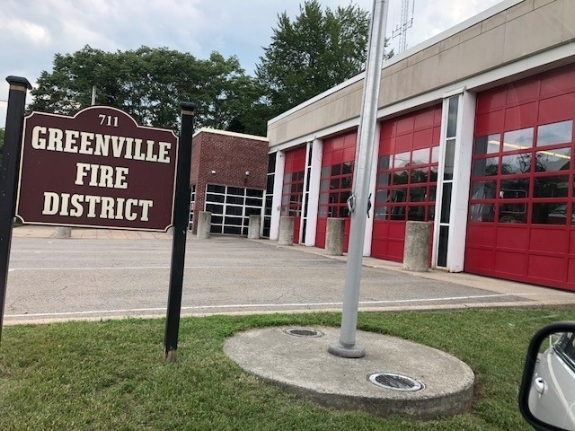 As a special district contiguous with the Village, upon incorporation, the Greenville Fire District will become the Edgemont Village Fire Department (EVFD). As such, the EVFD’s first-responder non-transport EMS services would remain in place and our department will continue to respond to all medical situations in Edgemont. Further, since Edgemont will continue to pay Town-wide property taxes post incorporation , the new village will remain eligible to receive Town-wide paramedic/fly car services just as the existing six Greenburgh villages do today. Further, since Town-wide property taxes also finance the acquisition of ambulances and paramedic equipment, the new Edgemont Village would retain access to those assets post-incorporation. 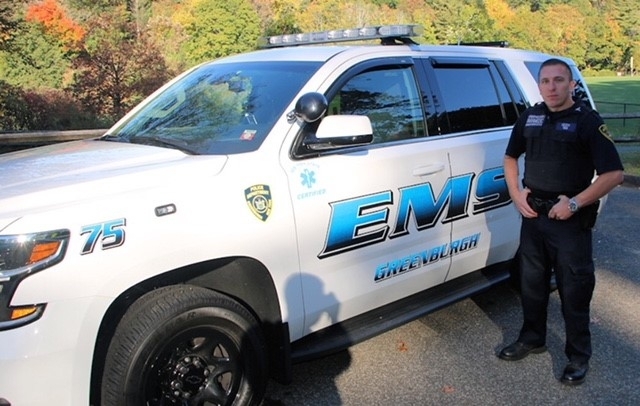 Town-wide "A" budget revenues, which fund services like the GPD's paramedic program and the Town’s fleet of ambulances and fly cars, are unaffected by Edgemont's incorporation. Click here for a table summarizing current services EMS in Edgemont and highlighting the ambulance transport aspect of EMS, which is the one element of EMS the Village would be required to replace if Edgemont does not contract with Greenburgh for police/EMS. Is there a way to for Edgemont to maintain current EMS services? Yes. If Edgemont contracts with Greenburgh for police (which would include ambulance transport) at current service levels, there would be no change to the EMS status quo: the fire district and police department would continue to provide EMS jointly per their inter-municipal agreement. Under this Edgemont-Greenburgh contracting arrangement, the Village of Edgemont would still run an estimated $1.7 million budget surplus at current tax rates. Click here for that budget scenario. See the police page of the website for Q&A on Edgemont-Greenburgh police contracting. Besides contracting with Greenburgh, what other EMS options are available to the Village, and what could change? While the EIC believes that Village-Town intergovernmental cooperation for EMS and other services would be mutually beneficial for Edgemont (service continuity) and Greenburgh (revenue preservation), there is no assurance that the Town will offer police and/or EMS services to the Village. Are customizable to meet the community’s demands. As noted above, the Edgemont Village Fire Department will continue to respond to all medical situations in Edgemont regardless of how the Village designs its overall EMS delivery system. If Edgemont decides to establish its own police department, that agency could supply basic life support ambulance transport services to our community (i.e., just as Greenburgh does today). The feasibility study excluded transport revenues—estimated at $250,000—for ambulance trips originating within Edgemont. These revenues would flow to the Village (just as they are currently credited to the Town’s “B” budget) and offset marginal EMS costs (including hiring a shift of civilian EMT drivers). The Town of Greenburgh would continue to provide paramedics (and the fly cars in which they travel) through its Town-wide ALS program. Click here for a pro forma budget under which Edgemont Village replicates the Town of Greenburgh model and provides ambulance transport through its police department. In this scenario, the Village would contract with the Westchester County Department of Public Safety for police services (note: the County has indicated that it would offer comprehensive public safety services to a newly created Village of Edgemont, just as the County has to the Village of Mt. Kisco since 2015). EMS would be provided entirely by the Edgemont Village Fire Department. The cost of any such fire department expansion would depend on how the Village reconfigures/supplements the department's current 30-person firefighter/EMS staff. The Village’s governing body may choose to add civilian EMT drivers; add firefighter EMTs and/or paramedics; adjust its current fire/EMS/rescue coverage model; or implement some combination thereof. This approach would result in a lower budget surplus compared to the police department option, but remains comfortably within the Village’s revenue capacity at current Town tax rates. Further, it would bolster the department's general response capacity for fire and other emergencies. Although Edgemont would presumably still be paying for the Town-wide paramedic program, the Town would not be at all involved in Edgemont EMS (except for mutual aid). Click here for a pro forma budget assuming EMS is provided exclusively by the Edgemont Village Fire Department and requires 10 new employees (a roughly 30% increase in staffing). This is the most expensive of the modeled options. Empress EMS was founded in 1985 and provides all aspects and levels of EMS services to over 400,000 residents in lower Westchester (about 2/3rds of this area’s population), making it the largest such provider in the County. With a staff of approximately 500 employees and a fleet of 100 emergency vehicles, Empress responds to well over 100,000 requests for ambulances every year, including mutual aid responses to New York City (for which it is a primary provider) and area municipalities. Empress has EMS contracts with Westchester local governments including Yonkers, White Plains, New Rochelle, Mt. Vernon, Yorktown, and Pelham (Town). Further, Empress provides a variety of services to area hospitals and private care facilities. Empress has indicated to the EIC that the Town of Pelham’s EMS contract is a useful template for a potential Village of Edgemont EMS model. In Pelham, Empress maintains a 24/7 paramedic-staffed fly car domiciled in a Pelham firehouse. Along with Pelham’s EMT firefighters, the Empress fly car/paramedic responds to all medical emergencies (about 800 calls per year) across the Town’s 12,000 population, which includes both the Village of Pelham and the Village of Pelham Manor. Since the Empress fly car/paramedic never leaves Pelham, its response time is almost always within 3-5 minutes. If transport is needed, Empress maintains ambulances in the immediate area and guarantees an 8-minute response 90% of the time. Given the company’s scale and number of units in lower Westchester at any given time, Empress almost never requires mutual aid (although mutual aid is part of its governmental contracts). According to Empress, in 30 years it has never required mutual aid backup in the City of Yonkers. Empress responds to over 100,000 ambulance calls annually. It is the largest EMS provider in Westchester and a primary backup to New York City. By contract, it serves White Plains, New Rochelle, Yonkers, Mt. Vernon, Pelham, Yorktown, and area hospitals and private care facilities. Assuming the Pelham model* is utilized for Edgemont’s approximately 7,500 residents and 400-450 estimated calls per year, Empress provided the EIC with an all-in contract cost estimate of $400,000 which assumes a) Empress collects all transport fees; b) Empress finances the fly car itself and houses it on Central Avenue at GFD headquarters; and c) the GFD continues to provide the same level of non-transport basic life support (in this case, in partnership with Empress instead of with the Greenburgh Police). In this scenario, EMS would be provided entirely by a combination of the Village fire department (specifically, first-responder non-transport BLS, the same services provided by the Greenville Fire District today) and Empress. Other than mutual aid, there would be no EMS involvement from the Town of Greenburgh. Simultaneous to the dispatch of the Edgemont-based paramedic, Empress would dispatche its nearest ambulance (8-minute response time expected). As the ambulance provider to adjacent Yonkers (population 200,000), Empress has dozens of units in the Edgemont area around-the-clock, making it a viable EMS option for the new Village of Edgemont. In this scenario, although Edgemont would still pay for the Town-wide paramedic program, the Town would not be directly involved in the Village of Edgemont EMS program. Click here for a pro forma budget assuming Edgemont Village EMS is provided by jointly by the Edgemont Village Fire Department and Empress. *Note: the Town of Pelham approach is one of many dedicated, Edgemont-based EMS models that Empress could design and provide to the Village without a tax increase. One other option is a dedicated Edgemont ambulance with BLS and ALS capabilities; Empress estimates that cost at $650,000. In the Empress option, would the Village need a dedicated ambulance? Who provides mutual aid? The Edgemont community does not have a dedicated ambulance today and would not need one upon incorporation under the Empress scenario (though the Board of Trustees could choose to secure a dedicated ambulance and would have the projected resources to do so). Edgemont would have a dedicated paramedic (which we do not have today) and access to Empress’ substantial fleet of nearby ambulances. 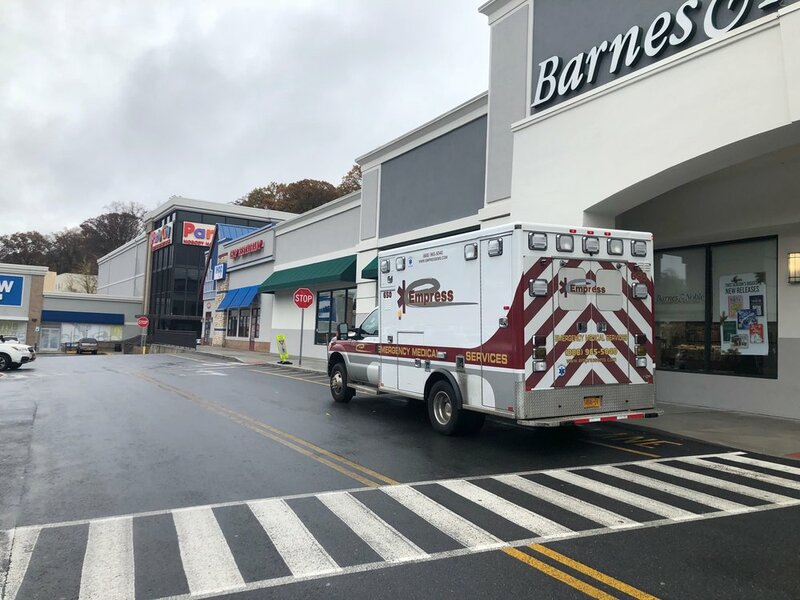 As the largest EMS provider in Westchester, Empress has the scale to provide its own units as backup in the event of 2-3 simultaneous incidents. All Empress contracts include mutual aid provisions. When would the Village determine how EMS is delivered to an incorporated Edgemont? State law provides for a transition period. Beyond the transition date, the Town is required to continue to provide all services offered by the police department, without distinction between villages and unincorporated areas, indefinitely (unless and until the Village secures its own such services). Why isn’t an independent ambulance company (like the volunteer ambulance companies, or “VACs,” in the Greenburgh villages) one of the listed options? Logically, Edgemont would not establish an entirely separate, highly duplicative EMS operation/entity when it could either a) leverage its police department, like Greenburgh's model; b) leverage its professional fire department (which already attends to every EMS call in Edgemont); or c) contract for the service. Nonetheless, there is no law preventing Edgemont from establishing a VAC or sharing/contracting for EMS services with a neighboring VAC (e.g. Ardsley-Secor or Scarsdale). Then why do the existing villages have separate ambulance companies? The existing villages developed differently from Edgemont. They require stand-alone volunteer ambulance corps ("VACs") for local EMS because, unlike our Greenville Fire District, the village volunteer fire departments do not offer basic life support EMS services. Can departments charge for ambulance transports? Yes. Only volunteer fire departments, which are not themselves local governments, are prohibited by state law from charging for ambulance transports. Municipalities that provide EMS through professionally staffed fire or police departments (like the FDNY, the Town of Greenburgh, and the Village of Edgemont) are permitted to charge for ambulance transports. Edgemont Village would be entitled to ambulance transport revenue, a funding source that was no included in the feasibility study. Did the EIC feasibility study fail to budget for EMS transport? No. The EIC study modeled and presented the same services that are broken out in the Town's "B" budget. There is no line item for EMS in the Town's "B" budget because those costs are included in police salaries. By duplicating Greenburgh’s EMS model and embedding "EMS double duty" stipends in the Edgemont Village Police Department (EVPD) budget projections. (Note: this same approach was utilized by the EVEC study in 2005.) As explained in the village police EMS option above, the EIC report used Greenburgh's police salary scales which are about 10% above countywide averages. Given the nearly $5 million of projected police salary and benefits in the EIC study, the 10% "GPD premium" represents upwards of $500,000 in available budget capacity if the Village does not contract with Greenburgh for police/EMS. By not including ambulance transport charges in Village revenue projections. If Edgemont provides its own ambulance service, as noted above, the Village would be entitled to revenues derived from ambulance trips originating in Edgemont. That amount is estimated at $250,000. These sources of budget capacity are available for all EMS scenarios including Village PD, Village FD, and Empress contract. Will EMS be a major Village of Edgemont expense? No. Just as EMS is a minor expense to the Town's "B" budget, whichever approach the Edgemont governing body chooses will not materially affect Village financials. Depending on the EMS option developed by Edgemont's Board of Trustees, new EMS expenditures resulting from incorporation will range from virtually negligible to 2% of the Village's aggregate $27 million village/fire budget.